In the beginning you *friended* your boss on Face Book, followed people on Twitter and you set up your own G+ – you knew with all this going on, it would only be a matter of time before you landed your dream job. Now you are in that job, what do you *do* with all these contacts you have made along the way? Some of those contacts might be past co-workers or bosses, your next door neighbour, the friend of a friend of your brothers, your best friend from primary school or business contacts you have made along the way. You don’t really want to forget about your online *little black book* as those contacts may be useful again for your career somewhere along the track – you want to keep everyone, here’s how you do it! 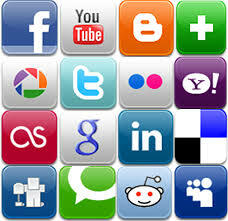 Use your social media platforms to keep in touch. While it can be very difficult to catch up with a contact after years of silence modern technology is helping us close that gap. Touching base with people every now and then via G+, Facebook , LinkedIn or e-mail can keep contacts fresh and up to date, you don’t feel as awkward asking for a helping hand years down the track. You can used your stored information to impress them by remembering children’s names, pets names etc. Contacts are not your friends – try and keep friends and contacts on 2 separate lists, it can be hard when dealing with social media to keep the two apart. Distant and professional contacts don’t want to be sent every game request or invitations to join your book club, likewise if you enjoy a good night out make sure to change your privacy settings and block them from seeing how much fun you really had! Keep closer contacts as friends. If you have had a long standing friendship with some contacts it doesn’t hurt to arrange a catch up every once in a while. Meeting up for a coffee once or twice a year will keep your relationship much stronger. Be willing to help others out – If someone in your network needs help with their career – what can you do? You can offer to help them out. If you know of a job opportunity they would be suitable for or have a contact who’s the right person to help out let them know. Relationships are a two way street, they may have helped you in the past, now it’s your time to return the favour. Leave surprises for parties! If you are planning on applying for a new job, get in touch with your referees and make sure they are still happy to recommend you for the job. Despite what they have said they might not appreciate a phone call sprung on them with little or no notice. The last thing you want is for them to get confused between Betty the slacker and you – the Betty who is a model employee. Mind your manners – didn’t your mum ever tell you that good manners never go out of style. Thanking your contacts for any help they may have given you is extremely important. Never take those in your network for granted, you don’t have to take out a billboard advertisement just a simple thank you and letting them know the outcome of a job interview is enough. Have you kept up with contacts long after you have secured a job? Do you think it’s important to keep up some form of contact with those in your network? Have you ignored your network only to regret it? Feel free to share your stories with us.